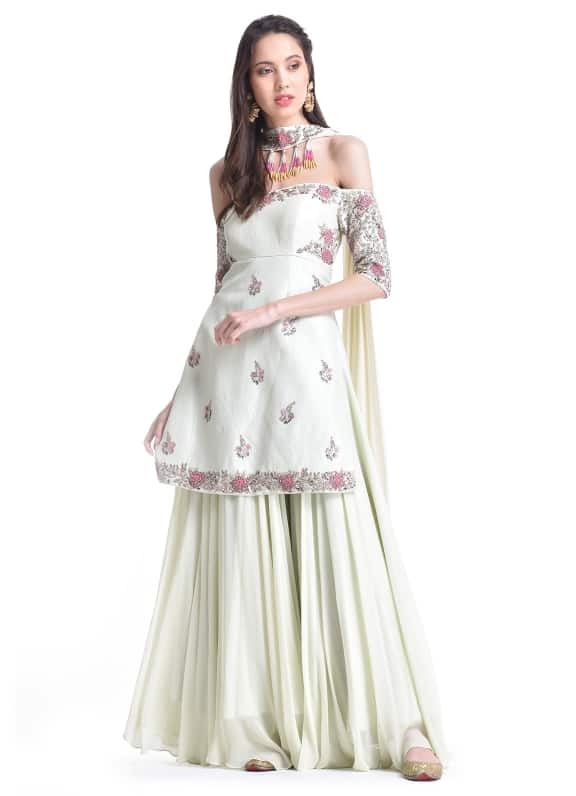 This sharara set features a short, silk kurti with with floral embroidery, sequins, katdana & dabka work, along with a matching pair of georgette sharara bottoms. 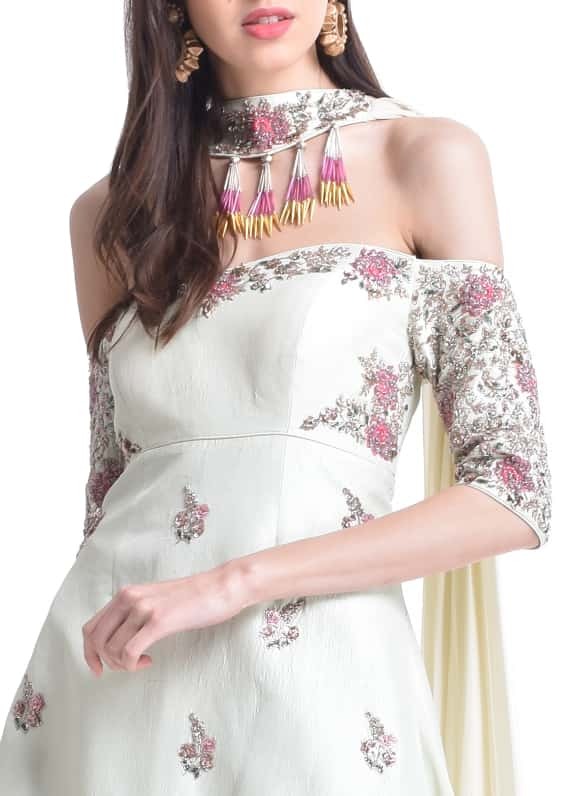 The dupatta features a choker detail with embroidery & tassels. 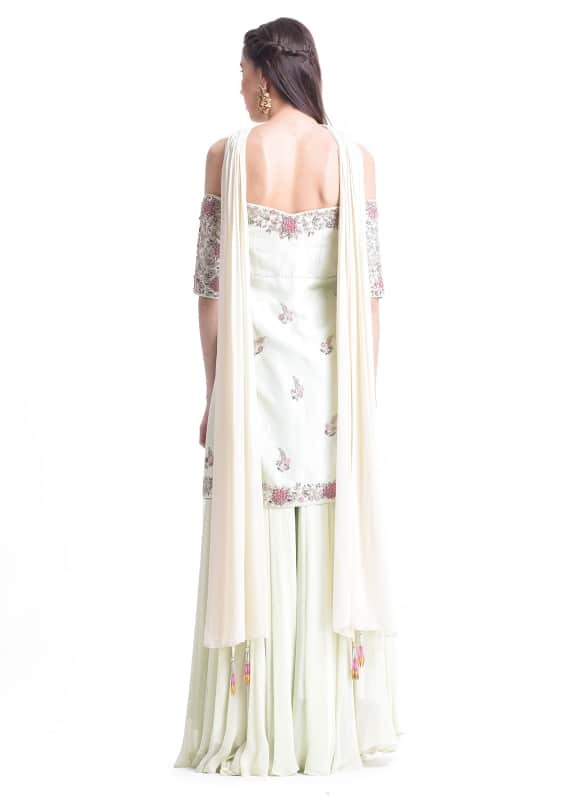 This sharara set is perfect for a mehendi function! Style this pretty piece with floral earrings by Amethyst.